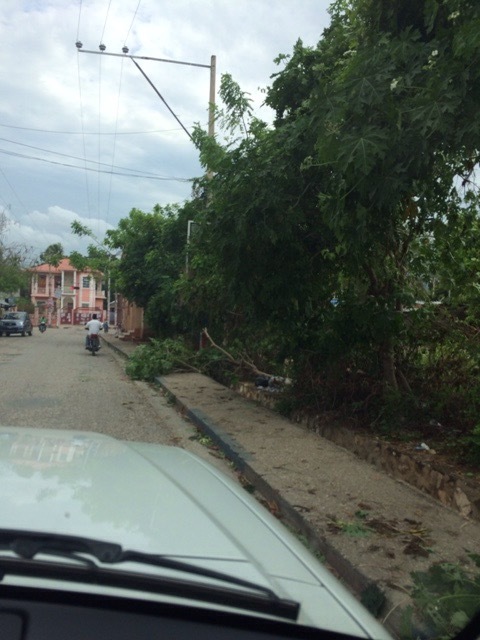 ← Hurricane Erika reaches Jacmel tonight! We thank every one for your prayers and messages as we made it through the tropical storm named “Erika.” We had prepared ourselves as best we could by putting everything inside a room, and we took down the crucifix and icons from the outside walls. We made sure the chairs were all inside a room. We had high winds and heavy rains throughout the night. Today all is calm; we still have some winds, but all is well. 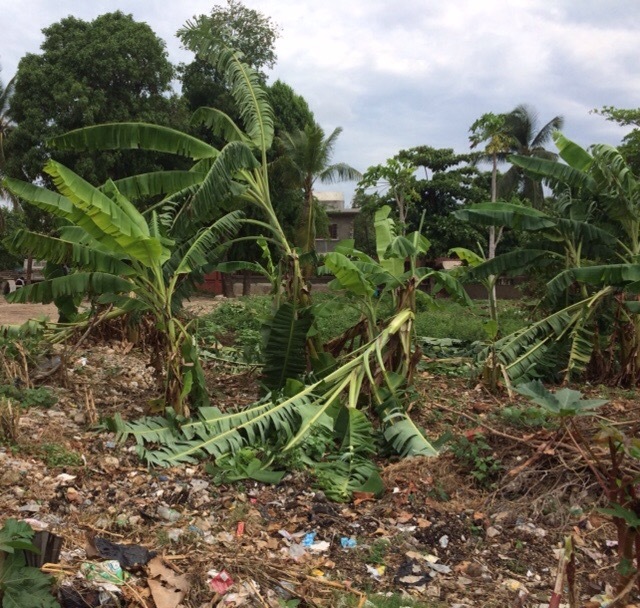 There are many banana trees down, and there is a lot of garbage everwhere. 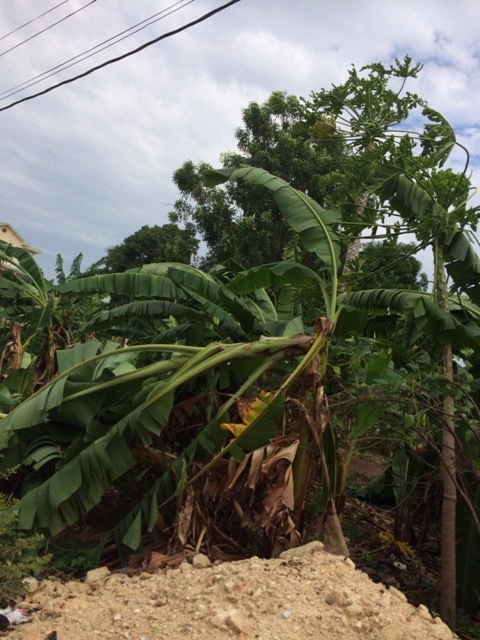 Our neighbor lost many of his banana and papaya trees. Many had extreme flooding into their small homes because they do not have secure doors, windows, and roofs. Some people live in what looks like a hut made of babana leaves; these were destoyed. Thanks be to God for His glorious mountains that we feel protected us from even greater winds and damage. Now we are praying for all of those who may be affected as “Erica” moves her way up the coast. 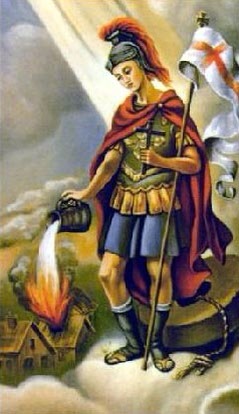 St. Florian protect us from fires, floods, earthquakes, hurricanes and tsunamis.